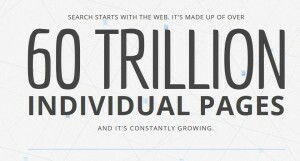 Understanding how Google search works helps you make better decisions on improving your website. As a website owner you won’t be short of advice or the offer of services so you need to be sure of what to ignore and to what you commit resource. Optimising a website is a long but rewarding process if it’s done right; generating quality web traffic, enquiries and orders at minimal cost. Google does a truly remarkable job in indexing and making the web available to us at the click of a mouse or tap on a smartphone. At the time of writing there are over 60 trillion pages and this continues to grow. With such a large number of pages, Google relies exclusively on its army of software ‘search bots’ that crawl web pages gathering links, moving from page to page and storing the information in its search Index. The results are judged against over 200 ranking factors and presented to users as a ranked list of website links using the Google Algorithm – the search engine results pages SERPS. Google is looking for pages that contain high-quality, relevant information about the searcher’s query because that is what keeps them coming back to use Google. They determine relevance by “crawling” (or reading) your website’s content and evaluating (algorithmically) whether that content is relevant to what the searcher is looking for, mostly based on the keywords it contains. They determine “quality” by a number of means, but the most important is the number and quality of other websites that link to your page and your site as a whole. If you get a link to your website selling ‘widgets’ from a high quality website to your website saying great website selling widgets then this will give your website a boost in SERPS. The algorithm changes frequently and is rigorously tested by humans. However, once a change has passed into Google, then the order of SERPS and how a website is indexed is an automatic algorithmic process with no further human intervention. We fight spam 24/7 to keep your results relevant. Unnatural links from a site – unnatural, artificial, deceptive or manipulative outbound links on a site. This may be the result of selling links that pass PageRank or participating in link schemes. Hidden text and/or keyword stuffing – Some of the pages may contain hidden text and/or keyword stuffing. User-generated spam – Site appears to contain spammy user-generated content. Always hold comments for moderation so you can assess whether they are spam or genuine debate. Parked domains – Parked domains are placeholder sites with little unique content, so Google doesn’t typically include them in search results. Hacked site – Some pages on this site may have been hacked by a third party to display spammy content or links. Website owners should take immediate action to clean their sites and fix any security vulnerabilities. This will show in the search results and Google search console. Pure Spam – Site appears to use aggressive spam techniques such as automatically generated gibberish, cloaking, scraping content from other websites. Cloaking and/or sneaky redirects – Site appears to be displaying different content to human users than is shown to search engines or redirecting users to a different page than Google sees. Spammy free hosts and dynamic DNS providers – Site is hosted by a free hosting service or dynamic DNS provider that has a significant fraction of spammy content. Unnatural links to a site – Google has detected a pattern of unnatural artificial, deceptive or manipulative links pointing to the site. These may be the result of buying links that pass PageRank or participating in link schemes. If you, your SEO consultant or web developers try any of the above then you are likely to find your website penalised and either ranked lower or removed from the index altogether. These are so-called Black Hat SEO techniques and to be avoided. A better understanding how Google search works will help you make better decisions on SEO, web design and web hosting and increase your web traffic long term. 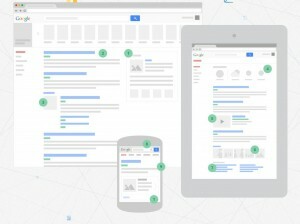 See Google’s interactive How search works page for more information.